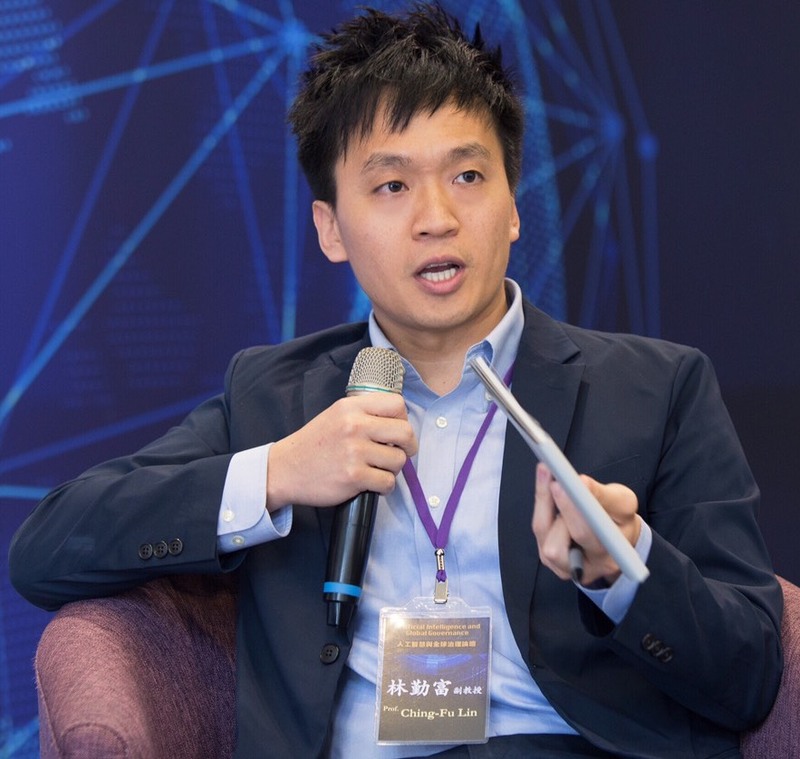 Ching-Fu Lin, “Artificial Intelligence Law and Policy: A Preliminary Mapping of Issues,” 274 Taiwan Law Review 195 (2018) (with Han-Wei Liu) [in Chinese]. Ching-Fu Lin, “A Preliminary Analysis of the Import Safety Regulatory Framework under the United States Food Safety Modernization Act,” 47(3) EurAmerica 345 (2017) (「美國食品安全現代化法淺析：以進口食品監管制度為中心」，歐美研究，第47卷第3期，2017年 : in Chinese) [full text]. Ching-Fu Lin, “E-Cigarette Regulation in Taiwan and China,” in Regulating E- cigarettes: International, European and National Legal Challenges (Lukasz Gruszczynski ed., Edward Elgar, forthcoming 2019) (with Chuan-Feng Wu & Mao-wei Lo). Ching-Fu Lin, “Behavioral Economics, Law, and Health Policy: Keynote by Cass Sunstein,” Bill of Health (Harvard Law School, May 2, 2014). Ching-Fu Lin, “The Future of ‘Country of Origin’ Labeling Regulations,” Bill of Health (Harvard Law School, Apr 8, 2014). Ching-Fu Lin, “China Issues 2014-2020 Development Blueprint on Food and Nutrition,” Bill of Health (Harvard Law School, Mar 27, 2014). Ching-Fu Lin, “FDA’s Draft Methodological Approach to Identifying High-Risk Foods,” Bill of Health (Harvard Law School, Mar 6, 2014). Ching-Fu Lin, “Peter Barton Hutt on the Food Safety Modernization Act in Historical Perspective,” Bill of Health (Harvard Law School, Feb 24, 2014). Ching-Fu Lin, “The Impact of FSMA Import Rules on Domestic Suppliers,” Bill of Health (Harvard Law School, Jan 23, 2014). Ching-Fu Lin, “Challenges to Third-Party Food Safety Audits and Certification,” Bill of Health (Harvard Law School, Dec 5, 2013). Ching-Fu Lin, “FSMA Proposed Rule on Accreditation of Third-Party Auditors,” Bill of Health (Harvard Law School, Nov 21, 2013). Ching-Fu Lin, “FDA Food Safety Modernization Act Might Raise Trade Concerns?” Bill of Health (Harvard Law School, Nov 6, 2013). Ching-Fu Lin, “Taking China’s Food Safety Problem Seriously (II),” Bill of Health (Harvard Law School, Oct 11, 2013). Ching-Fu Lin, “Taking China’s Food Safety Problem Seriously (I),” Bill of Health (Harvard Law School, Oct 10, 2013). Ching-Fu Lin, “Food Safety Regulatory Cooperation in the US-EU Free Trade Pact,” Bill of Health (Harvard Law School, Sep 11, 2013). [Chinese Edition Translation] Teaching Ethics in Psychiatry: Case Vignettes (A. Carmi, D. Moussaoui & J. Arboleda-Floerz eds. ), UNESCO Chair in Bioethics (2008).